Cannabis oil isolates are arguably the future of cannabis concentrates. The future has arrived thanks to pure Pi Extracts CBD Isolate pens. Encased within their very reliable disposable pens there is this golden drop of goodness is a semi-translucent, 99% pure decarboxylated and distilled cannabidiol (CBD) sap. Dollar for dollar, this quantity of oil is worth more by weight than just about any other cannabis extract on the market, and for good reason: it is the most effective and most pure version of CBD. What is Pure THC Distillate? 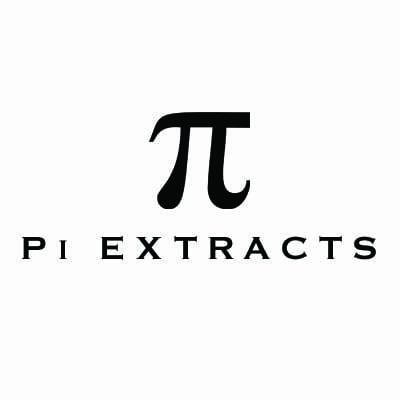 What makes Pi THC Distillate pens so effective? Because of the extended extraction and refinement process, as well as advanced machinery needed to produce THC distillates, it’s no surprise that they are a little more expensive than the Phant pens for those of you who love those. The extreme level of purity and potency cannot be compared to different concentrates like BHO, which is why we think every concentrate connoisseur should give them a try and let us know what you think. WhitePalm only receives very small batched of each flavour so that you can give us your feedback before we order tons more. Right now there is Blueberry, Pineapple Mango, Grape, Watermelon and Mango. PI extracts have nailed it with their disposable CBD vape penS. Tasty product with immediate relief. I have just found out that vaping CBD is definitely the right choice for me at the moment. I am recovering from knee surgery and this product is fantastic. I am looking forward to purchasing future PI CBD vape products. Excellent choice W.P.